Last weekend I attended a mini retreat for writers and bloggers. 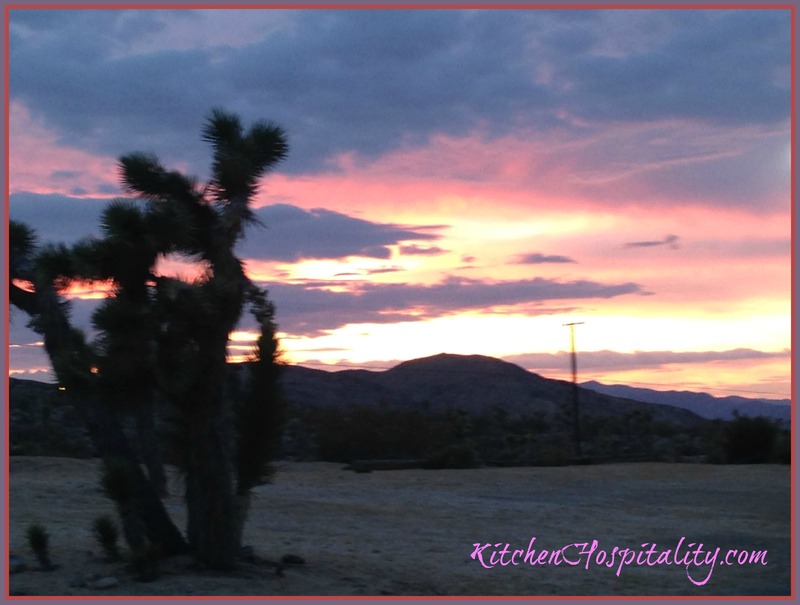 It was held at a desert ranch, a quiet place to think, take photos, listen to birds, and write.What is your description of a retreat? Quiet place, a chance to do things you don’t usually have time for, or what comes to your mind? The three-day event inspired us to write. We grilled. Ate. Wrote. Three of us were food bloggers. But we didn’t blog. No wifi – no blogging. Instead, we had fun with words, poetry, allowing nature to inspire us. A retreat away from deadlines and computers. I guess you can tell, right? I haven’t blogged in days – a NO-NO for food bloggers. I’ll make it up to you. In fact, I’ll start with the most delectable dessert you’ve ever heard of. Just keep reading. My fellow retreat writers and I enjoyed the food. We brought enough for ourselves and to share. It was like a three-day picnic. I think my favorite food during the three-day getaway was the pecan bean bar. If you’ve never tasted a dessert made from beans, you don’t know what you’re missing. It was one of the best sweets I’ve ever had. 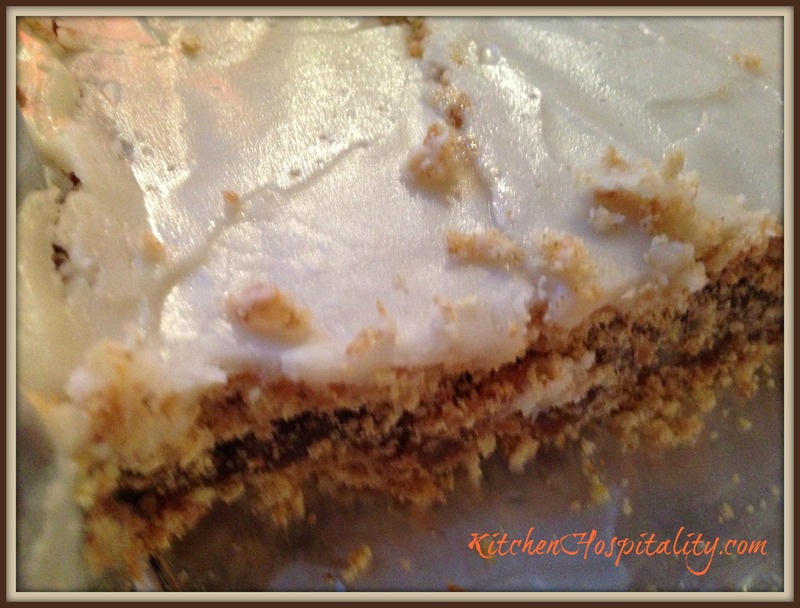 The closest recipe I have for the pecan bar is a pinto pecan pie from pattycakespantry.com. There are a few differences like adding coconut, adding more pinto beans, Graham crackers, and frosting. I did NOT want to stop at one piece. It’s the most amazing dessert bar I’ve ever had. We did have other foods, not just desserts. We grilled chicken and steak. That was certainly an experience. The charcoal wouldn’t stay lit. We’d get a big fire going, and it would go out. Not just once. Several times. F-I-N-A-L-L-Y, the fire really started. The flames were so big that the chicken looked charred. It actually tasted wonderful – well, maybe if you didn’t eat the black charred skin. Ribeye was also on our picnic menu. Good eating. This week my husband grilled. The meat was so good. He grilled extra for the week. We included beef sausage. I could have eaten the whole thing without any help. It makes me laugh to think of how good his meat turns out compared to my grilling experience at the retreat. I think I’ll continue keeping him as my home grilling chef. Since I like desserts so much and need to cut back, this month I’m focusing on nutrition and healthy meals and recipes. The hardest thing for me is to stay away from bread and desserts. For instance, at the retreat, we had grilled garlic bread. Oh, my! Why did I only allow myself one? To be honest, I wanted more. The garlic bread came already buttered with the seasoning, and there were two bags within a bag. When I came home, I brought the bag that hadn’t been touched. Can you believe I didn’t keep it? I gave it to my sweet neighbor – she and I both love bread. Incidentally, when I walked back to my house after giving the bread to my neighbor, I could smell the aroma of neighborhood grilling. It came from my back yard where hubs was grilling finger-licking pork ribs. What a great post! Thanks so much for sharing with Full Plate Thursday and have a great day! As a food blogger, do you feel like you have to bring something extra good to potluck’s, retreats, etc? The retreat was amazing. A great chance to relax and learn. I do feel that way. However, if my schedule [or not being able to take my crockpot 🙂 ] doesn’t allow me the time or opportunity to make that extra special recipe, I bring whatever I can.